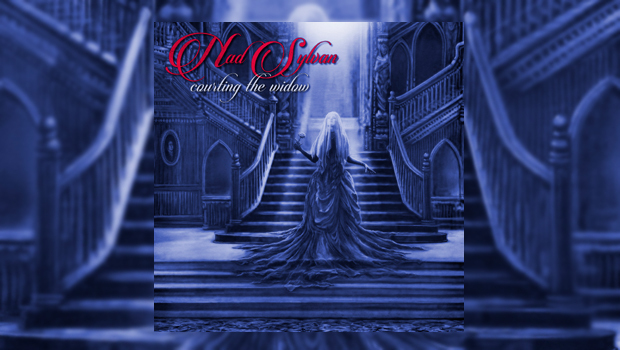 Nad Sylvan has come to more prominence in the Progressive rock world in recent years for his role as vocalist with Steve Hackett as they have recorded and extensively toured the Genesis Revisited II album around the world. It has certainly been quite a journey for Sylvan in his career, now performing prog classics for large and enthusiastic crowds after many years toiling in the lesser known regions of prog rock, and this inventive album is presented largely as a sea journey. Life’s journey can take unexpected and rather sad turns even for this reviewer, hence the delay in completing this piece, but such a delay has provided ample time to absorb and fully appreciate this album. As one would expect Sylvan makes use of the whole Hackett touring band over various songs alongside his old band mate in Agents of Mercy, Roine Stolt, Nick D’Virgilio (ex-Spock’s Beard & Big Big Train) and Doane Perry (once of Jethro Tull) amongst others. 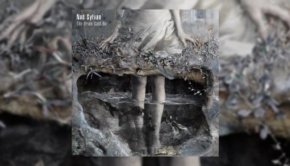 The overall feel is very much in the vein of classic ‘Prog’ rock, which is also to be expected with the pedigree of the musicians playing with him, and Sylvan’s own background with Unifaun and Agents of Mercy. There is a sinister, Gothic atmosphere pervading much of Courting the Widow, particularly the title track in its dark tale of a father killing his son so he can turn the son’s wife into a vampire. There is a risk that such a theme could become ham-fisted rather than Hammer Horror, but this fine song with a lovely melody and memorable hook is one of the highlights of the album. However, one cannot escape the feeling that this lengthy song slips into an unengaging groove which struggles to hold the attention for its considerable duration, although there is much to be admired in the song, particularly lyrically. Thankfully, there are other far less lengthy but superior songs which do hit the spot. Ship’s Cat, complete with feline sounds, provides a good whimsical antidote to the meandering of the previous song. The Killing of the Calm, apparently held back from the last Agents of Mercy album, rolls along like some sort of prog sea shanty with Annbjorg Lien adding a suitably folky violin backing along with Sylvan’s own harpsichord like keyboards. Where the Martyr Carved his Name is a particular showcase for Sylvan’s considerable vocal ability. He is supported with excellent backing vocals from Nick Beggs, including the song’s catchy pop like refrain “Gonna Conjure up a Vision” which could sum up the effect of this imaginative album. Roine Stolt features on uncharacteristically restrained guitar on this song. Whilst there is inevitably a lot of focus on Sylvan’s vocals a lot of credit is due to him for the great quality of his guitar work, keyboard play and orchestration on this beautifully produced release. Alongside the excellent music this is also a beautifully presented album with fine artwork by Claude Martin, and some very striking photos. This is a package upon which to feast the eyes as well as the ears. Whilst Sylvan is not breaking any musical barriers here, he is very clearly laying out his art with great skill and with a finely honed sense of how this style of music should be presented. This is a fine homage and not a pastiche to previous progressive music greats. It feels as if Sylvan has dived in and taken the risk to achieve a long held dream with glorious fatalism, and accepts that there is no guarantee of success and there may well be a ‘long slow crash landing’. However, if he continues to surround himself with such talent and write, play and produce solo albums of this quality then his own prog star may stay aloft quite respectably in future.